For the 2016 film, see King of the Belgians (film). The monarchy of Belgium is a constitutional, hereditary, and popular monarchy whose incumbent is titled the King or Queen of the Belgians (Dutch: Koning(in) der Belgen, French: Roi / Reine des Belges, German: König(in) der Belgier) and serves as the country's head of state. There have been seven Belgian monarchs since independence in 1830. The incumbent, Philippe, ascended the throne on 21 July 2013, following the abdication of his father. When Belgium became independent in 1830 the National Congress chose a constitutional monarchy as the form of government. The Congress voted on the question on 22 November 1830, supporting monarchy by 174 votes to 13. In February 1831, the Congress nominated Louis, Duke of Nemours, the son of the French king Louis-Philippe, but international considerations deterred Louis-Philippe from accepting the honour for his son. Following this refusal, the National Congress appointed Erasme-Louis, Baron Surlet de Chokier to be the Regent of Belgium on 25 February 1831. Leopold of Saxe-Coburg and Gotha was designated as King of the Belgians by the National Congress and swore allegiance to the Belgian constitution in front of Saint Jacob's Church at Coudenberg Palace in Brussels on 21 July. This day has since become a national holiday for Belgium and its citizens. As a hereditary constitutional monarchy system, the role and operation of Belgium's monarchy is governed by the Constitution. The royal office of King is designated solely for a descendant of the first King of the Belgians, Leopold I. Since he is bound by the Constitution (above all other ideological and religious considerations, political opinions and debates and economic interests) the King is intended to act as an arbiter and guardian of Belgian national unity and independence. Belgium's monarchs are inaugurated in a purely civil swearing-in ceremony. King Leopold I was head of Foreign Affairs "as an ancien régime monarch", the foreign ministers having the authority to act only as ministers of the king. Leopold I quickly became one of the most important shareholders of the Société Générale de Belgique. Leopold's son, King Leopold II is chiefly remembered for the founding and capitalization of the Congo Free State which caused public resentment when the atrocities perpetrated by the Belgians were made public. Millions of Congolese were killed as a result of Leopold's policies in the Congo. Neither the Belgian monarchy nor the Belgian state have ever apologized for these atrocities. On several occasions Leopold II publicly expressed disagreement with the ruling government (e.g. on 15 August 1887 and in 1905 against Prime Minister Auguste Beernaert) and was accused by Yvon Gouet of noncompliance with the country's parliamentary system. In a similar manner, Albert I of Belgium would later state that he was in command of the Belgian army contrary to his Prime Minister Charles de Broqueville, also against the Belgian Constitution. 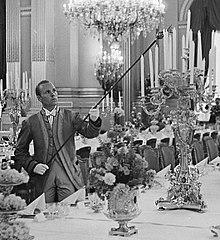 Louis Wodon (the chef de cabinet of Leopold III from 1934 to 1940), thought the King's oath to the Constitution implied a royal position "over and above the Constitution". He compared the King to a father, the head of a family, "Regarding the moral mission of the king," said Arango, "it is permissible to point to a certain analogy between his role and that of a father, or more generally, of parents in a family. The family is, of course, a legal institution as is the state. But what would a family be where everything was limited among those who compose it to simply legal relationships? In a family when one considers only legal relationships one comes very close to a breakdown in the moral ties founded on reciprocal affection without which a family would be like any other fragile association" According to Arango, Leopold III of Belgium shared these views about the Belgian monarchy. The Belgian monarchy was from the beginning a constitutional monarchy, patterned after that of the United Kingdom. Raymond Fusilier wrote the Belgian regime of 1830 was also inspired by the French Constitution of the Kingdom of France (1791–1792), the United States Declaration of Independence of 1776 and the old political traditions of both Walloon and Flemish provinces. "It should be observed that all monarchies have suffered periods of change as a result of which the power of the sovereign was reduced, but for the most part those periods occurred before the development of the system of constitutional monarchy and were steps leading to its establishment." The characteristic evidence of this is in Great Britain where there was an evolution from the time when kings ruled through the agency of ministers to that time when ministers began to govern through the instrumentality of the Crown. Unlike the British constitutional system, in Belgium "the monarchy underwent a belated evolution" which came "after the establishment of the constitutional monarchical system" because, in 1830–1831, an independent state, parliamentary system and monarchy were established simultaneously. Hans Daalder, professor of political science at the Rijksuniversiteit Leiden wrote: "Did such simultaneous developments not result in a possible failure to lay down the limits of the royal prerogatives with some precision—which implied that the view of the King as the Keeper of the Nation, with rights and duties of its own, retained legitimacy?" For Raymond Fusilier, the Belgian monarchy had to be placed—at least in the beginning—between the regimes where the king rules and those in which the king does not rule but only reigns. The Belgian monarchy is closer to the principle "the King does not rule", but the Belgian kings were not only "at the head of the dignified part of the Constitution". The Belgian monarchy is not merely symbolic, because it participates in directing affairs of state insofar as the King's will coincides with that of the ministers, who alone bear responsibility for the policy of government. For Francis Delpérée, to reign does not only mean to preside over ceremonies but also to take a part in the running of the State. 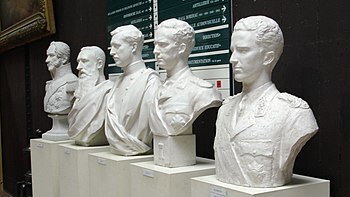 The Belgian historian Jean Stengers wrote that "some foreigners believe the monarchy is indispensable to national unity. That is very naive. He is only a piece on the chessboard, but a piece which matters. The monarchs of Belgium originally belonged to the House of Saxe-Coburg and Gotha. The family name was changed by Albert I in 1920 to the House of Belgium as a result of anti-German sentiment. This is a family tree of the Kings of the Belgians, hereditary, constitutional monarchs of Belgium as defined by the Belgian Constitution. The proper title of the Belgian monarch is King of the Belgians rather than King of Belgium. The title indicates a popular monarchy linked to the people of Belgium (i.e., a hereditary head of state; yet ratified by popular will), whereas King of Belgium would indicate standard constitutional or absolute monarchy linked to territory or state. For example, in 1830, King Louis Philippe was proclaimed King of the French rather than King of France. The Greek monarch was titled King of the Hellenes, indicating a personal link with the people, not just the state. Moreover, the Latin translation of King of Belgium would have been Rex Belgii, which, from 1815, was the name for the King of the Netherlands. Therefore, the Belgian separatists (i.e. the founders of Belgium) chose Rex Belgarum. Belgium is the only current European monarchy that does not apply the tradition of the new monarch automatically ascending the throne upon the death or abdication of the previous monarch. According to Article 91 of the Belgian constitution, the monarch accedes to the throne only upon taking a constitutional oath before a joint session of the two Houses of Parliament. The joint session has to be held within ten days of the death of the deceased or abdicated king. The new Belgian monarch is required to take the Belgian constitutional oath, "I swear to observe the Constitution and the laws of the Belgian people, to maintain the national independence and the integrity of the territory," which is uttered in the three official languages: French, Dutch, and German. Members of the Belgian royal family are often known by two names: a Dutch and a French one. For example, the current monarch is called 'Philippe' in French and 'Filip' in Dutch; the fifth King of the Belgians was 'Baudouin' in French and 'Boudewijn' in Dutch. In contrast to King Philippe's title of "King of the Belgians", Princess Elisabeth is called "Princess of Belgium" as the title "Prince of the Belgians" does not exist. She is also Duchess of Brabant, the traditional title of the heir apparent to the Belgian throne. This title precedes the title "Princess of Belgium". In the other official language of German, monarchs are usually referred to by their French names. The same is true for English with the exception of Leopold, where the accent is removed for the purpose of simplicity. 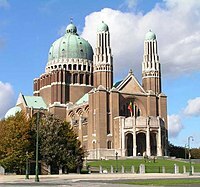 Because of the First World War and the resultant strong anti-German sentiment, the family name was changed in 1920 from Saxe-Coburg-Gotha to van België, de Belgique, or von Belgien ("of Belgium"), depending upon which of the country's three official languages (Dutch, French, and German) is in use. It is this family name which is used on the identity cards and in all official documents by Belgium's royalty (e.g. marriage licenses). In addition to this change of name, the armorial bearings of Saxony were removed from the Belgian royal coat of arms (see above). Other Coburgers from the multi-branched Saxe-Coburg family have also changed their name, such as George V, who adopted the family name of Windsor after the British royal family’s place of residence. The Belgian monarchy symbolises and maintains a feeling of national unity by representing the country in public functions and international meetings. In addition, the monarch has a number of responsibilities in the process of the formation of the Government. The procedure usually begins with the nomination of the "Informateur" by the monarch. After the general election the Informateur officially informs the monarch of the main political formations which may be available for governance. After this phase, the monarch can appoint another "informateur" or appoint a "Formateur", who will have the charge of forming a new government, of which he or she generally becomes the Prime Minister. Article 37 of the Constitution of Belgium vests the "federal executive power" in the monarch. Under Section III, this power includes the appointment and dismissal of ministers, the implementation of the laws passed by the Federal Parliament, the submission of bills to the Federal Parliament and the management of international relations. The monarch sanctions and promulgates all laws passed by Parliament. In accordance with Article 106 of the Belgian Constitution, the monarch is required to exercise his powers through the ministers. His acts are not valid without the countersignature of the responsible minister, who in doing so assumes political responsibility for the act in question. This means that federal executive power is exercised in practice by the Federal Government, which is accountable to the Chamber of Representatives in accordance with Article 101 of the Constitution. The monarch receives the prime minister at the Palace of Brussels at least once a week, and also regularly calls other members of the government to the palace in order to discuss political matters. During these meetings, the monarch has the right to be informed of proposed governmental policies, the right to advise, and the right to warn on any matter as the monarch sees fit. The monarch also holds meetings with the leaders of all the major political parties and regular members of parliament. All of these meetings are organised by the monarch's personal political cabinet which is part of the Royal Household. The monarch is the Commander-in-Chief of the Belgian Armed Forces and makes appointments to the higher positions. The names of the nominees are sent to the monarch by the Ministry of Defence. The monarch's military duties are carried out with the help of the Military Household which is headed by a General office. Belgians may write to the monarch when they meet difficulties with administrative powers. The monarch is also one of the three components of the federal legislative power, in accordance with the Belgian Constitution, together with the two chambers of the Federal Parliament: the Chamber of Representatives and the Senate. All laws passed by the Federal Parliament must be signed and promulgated by the monarch. Previously, children of the King were entitled to a seat in the senate (Senator by right) when they were 18. This right was abolished in 2014 as part of the Sixth Belgian state reform. Article 88 of the Belgian Constitution provides that "the King's person is inviolable, his ministers are responsible". This means that the King cannot be prosecuted, arrested, or convicted of crimes, cannot be summoned to appear before a civil court, and is not accountable to the Federal Parliament. This inviolability was deemed incompatible, however, with Article 27 of the Rome Statute of the International Criminal Court which states that official capacity shall not exempt a person from criminal responsibility under the statute. The Court still keeps some old traditions, most famous is the tradition that the Reigning King of the Belgians becomes the godfather of a seventh son and the Queen the godmother of a seventh daughter. The child is then given the name of the Sovereign and receives a gift from the palace and lord Mayor of the city. Similar traditions are attached to the Russian Tsar and the President of Argentina. Another tradition is the centuries old ceremonial welcome the new king receives in the country during the Joyous Entry; this tradition apparently dates back to the Dukes of Brabant. The Belgian monarchy enjoys a lower degree of support than other European monarchies, and is often questioned. Popular support for the monarchy has historically been higher in Flanders and lower in Wallonia. The generally pro-monarchy Catholic Party and later Christian Social Party dominated in Flanders, while the more industrialised Wallonia had more support for the Belgian Labour Party and later Socialist Party. For example, the 1950 referendum saw Flanders voting strongly in favour of King Leopold III returning, whereas Wallonia was largely against. However, in recent decades these roles have reversed, as religiosity in Flanders has decreased and the King is seen as protecting the country against (Flemish) separatism and the country's partition. The King's Household (Dutch: Het Huis van de Koning, French: La Maison du Roi, German: Das Haus des Königs) was reorganised in 2006, and consists of seven autonomous departments and the Court's Steering Committee. Each Head of Department is responsible for his department and is accountable to the King. The King's Chief of Cabinet is responsible for dealing with political and administrative matters and for maintaining the relations with the government, trade unions and industrial circles. In relation to the King, the Chief assists in keeping track of current events; informs regarding all aspects of Belgian life; proposes and prepares audiences; assists in preparing speeches and informs the King about developments in international affairs. The Chief of Cabinet is assisted by the Deputy and Legal Adviser, the Press Adviser and the Archivist. The incumbent Chief of Cabinet is Baron Frans Van Daele, former Chief of Cabinet of President of the European Council Herman Van Rompuy. King Philippe and Queen Mathilde wave to the crowds in Brussels after Philippe's swearing in as the new Belgian monarch, 21 July 2013. The Head of the King's Military Household assists the King in fulfilling his duties in the field of defence. He informs the King about all matters of security, defence policy, the views of Belgium's main partner countries and all aspects of the Belgian Armed Forces. He organises the King's contacts with the Armed Forces, advises in the fields of scientific research and police and coordinates matters with patriotic associations and former service personnel. The Military Household is also responsible for managing the Palace's computer system. The Head of the Military Household is a General Officer, currently General Jef Van den put and assisted by an adviser, currently Lieutenant-Colonel Aviator Serge Vassart. The King's Aides-de-Camp and the King's Equerries are also attached to the Military Household. The King's aides-de-camp are senior officers chosen by the monarch and charged with carrying out certain tasks on his behalf, such as representing him at events. The King's Equerries are young officers who take turns preparing the King's activities, informing him about all the aspects that may be important to him and providing any other useful services such as announcing visitors. The equerry accompanies the King on his trips except for those of a strictly private nature. The Intendant of the King's Civil List is responsible for managing the material, financial and human resources of the King's Household. He is assisted by the Commandant of the Royal Palaces, the Treasurer of the King's Civil List and the Civil List Adviser. The Intendant of the Civil List also advises the King in the field of energy, sciences and culture and administers the King's hunting rights. The Commandant of the Royal Palaces is mainly in charge, in close cooperation with the Chief of Protocol, of the logistic support of activities and the maintenance and cleaning of the Palaces, Castles and Residences. He is also Director of the Royal Hunts. The Chief of Protocol is charged with organising the public engagements of the King and the Queen, such as audiences, receptions and official banquets at the Palace, as well as formal activities outside of the Palace. He is assisted by the Queen's Secretary, who is mainly responsible for proposing and preparing the Queen's audiences and visits. The Head of the Department for Economic, Social and Cultural Affairs advises the King in the economic, social and cultural fields. He is also responsible for providing coordination between the various Households and Services and for organising and minuting the meetings of the Steering Committee. The Head of the Department for Foreign Relations informs the King of developments in international policy, assists the King from a diplomatic viewpoint on royal visits abroad and prepares the King's audiences in the international field. He is also responsible for maintaining contacts with foreign diplomatic missions. The Head of the Department of Petitions is charged with processing petitions and requests for social aid addressed the King, the Queen or other members of the royal family. He is also responsible for the analysis and coordination of royal favours and activities relating to jubilees, and advises the King in the fields for which he is responsible. For the personal protection of the King and the royal family, as well as for the surveillance of the royal estates, the Belgian Federal Police at all times provides a security detail to the Royal Palace, commanded by a chief police commissioner. The other members of the royal family have a service at their disposal. Members of the royal family hold the title of Prince (Princess) of Belgium, with the style of Royal Highness. Prior to World War I, they used the additional titles of Prince (Princess) of Saxe-Coburg and Gotha and Duke (Duchess) of Saxony as members of the House of Wettin. Those entitled to the title of Prince (Princess) of Belgium by the royal decree of 14 March 1891 were all legitimate male-line descendants of Leopold I. This was repealed by the royal decree of 2 December 1991, wherein it was stated that all descendants of Albert, Prince of Liège were entitled to the title of Prince (Princess) of Belgium. In 2015, a royal decree further limited those entitled to be Prince (Princess) of Belgium as children and grandchildren of the monarch or of the monarch's heir. Prior to this, all descendants of Albert II were entitled to the title of prince or princess. HRH Princess Elisabeth, Duchess of Brabant, who will inherit the throne after her father due to a 1991 act of succession which established absolute (gender-neutral) primogeniture, altering the order of succession from "eldest son" to "eldest child". HRH Henri, Grand Duke of Luxembourg (born 16 April 1955). He is the eldest son of Grand Duke Jean and Princess Joséphine-Charlotte of Belgium, sister of Kings Baudouin and Albert II and aunt of King Philippe. HRH Princess Léa of Belgium (born 2 December 1951). She is the widow of Prince Alexandre of Belgium, half-brother of both Kings Baudouin and Albert II, and half-uncle of King Philippe. HRH Princess Marie-Christine, Mrs Gourgues (born 6 February 1951). She is the eldest daughter of Leopold III and Lilian, Princess of Réthy, half-sister of both Kings Baudouin and Albert II and half-aunt of King Philippe. Her first marriage, to Paul Drucker (Toronto, Ontario, 1 November 1937 – 1 April 2008) in Coral Gables, Miami-Dade County, Florida, on 23 May 1981, lasted 40 days (though they weren't formally divorced till 1985); she subsequently married Jean-Paul Gourges in Los Angeles, California, on 28 September 1989. HRH Princess Marie-Esméralda, Lady Moncada (born 30 September 1956). She is the youngest daughter of Leopold III and Lilian, Princess of Réthy, half-sister of both Kings Baudouin and Albert II and half-aunt of King Philippe. Princess Marie-Esméralda is a journalist, writing under the name Esméralda de Réthy. She married Sir Salvador Moncada, a Honduran-British pharmacologist, in London on 4 April 1998. They have a daughter, Alexandra Leopoldine (born in London on 4 August 1998), and a son, Leopoldo Daniel (born in London on 21 May 2001). King Albert and Queen Elisabeth in prayer for Our Lady of Laeken, an image displaying the Catholic faith of the royal house. ^ "History". Monarchy of Belgium. Retrieved 2016-03-22. ^ "La Constitution Belge" [The Belgian Constitution] (PDF). Belgian Federal Parliament. May 2014. Retrieved 2016-03-22. ^ Hochschild, Adam (1998). King Leopold's Ghost: A Story of Greed, Terror, and Heroism in Colonial Africa. Houghton Mifflin. ISBN 978-0618001903. ^ "A Belgian Visit to "Kongo"". The New Yorker. Retrieved 2018-10-20. ^ Raymond Fusilier, Les monarchies parlementaires en Europe Editions ouvrières, Paris, 1960, p. 399. ^ Yvon Gouet, De l'unité du cabinet parlementaire, Dalloz, 1930, p. 232, quoted by Raymond Fusilier, p. 400. ^ Raymond Fusilier, Les monarchies parlementaires en Europe, p. 424. ^ Leopold III and the Belgian Royal Question, p. 31. ^ Ramon Arango, Leopold III and the Belgian Royal Question, p.9. ^ Ramon Arango, p. 9. ^ Hans Daalder, The monarchy in a parliamentary system, in Res Publica, Tijdschrift voor Politologie, Revue de Science Politique, Belgian Journal of Political Science, number 1, 1991, pp. 70–81, p. 74. ^ Raymond Fusilier, Les monarchies parlementaires - étude sur les systèmes de gouvernement en Suède, Norvège, Luxembourg, Belgique, Pays-bas, Danemark, Editions ouvrières, Paris, 1960, pp. 419-420. ^ R.Fusilier, pp. 419–420. French Elle n'est pas purement symbolique, car elle participe à la direction des affaires de l'Etat dans la mesure où sa volonté coïncide avec la volonté des ministres, lesquels seuls assument la responsabilité de la politique du gouvenement. ^ "The Belgian Constitution" (PDF). Belgian Parliament. Retrieved July 21, 2013. ^ Balfoort, Brigitte; et al. "journalist" (pdf). The Belgian Monarchy. Olivier Alsteens, Director-General of the FPS Chancellery of the Prime Minister, Wetstraat 16, 1000 Brussels. Retrieved 2012-07-18. ^ "Minutes of the Belgian Senate of September 9, 2004" (in Dutch). The Belgian Senate. Retrieved 2007-09-17. ^ "No, Argentina's president did not adopt a Jewish child to stop him turning into a werewolf". 2014-12-29. Retrieved 2018-10-21. ^ "Prince Philippe, Belgium's New King, Still Has Many Hearts to Win". The Huffington Post. 18 July 2013. ^ "Walen zijn veel koningsgezinder dan Vlamingen". deredactie.be. 15 November 2016. ^ "Arrêté royal relatif à l'octroi du titre de Prince ou Princesse de Belgique" [Royal Decree on the granting of the title of Prince or Princess of Belgium] (in French). Federal Parliament of Belgium. 12 November 2015. ^ Clevers, Antoine (25 November 2015). "Le Roi limite l'octroi du titre de "prince de Belgique"" [The King limits the granting of the title of "Prince of Belgium"]. La Libre Belgique. Retrieved 2016-03-22. Wikimedia Commons has media related to Royalty of Belgium.